Made this card for the Cardz TV Challenge here are the rules:Our first challenge is called "Just My Style"...what you do best. Make a card using your favorite technique, card fold, colors, embellishments...whatever you consider YOUR style! It can be cute, vintage, shabby chic, etc, AND It can be for any ocassion. 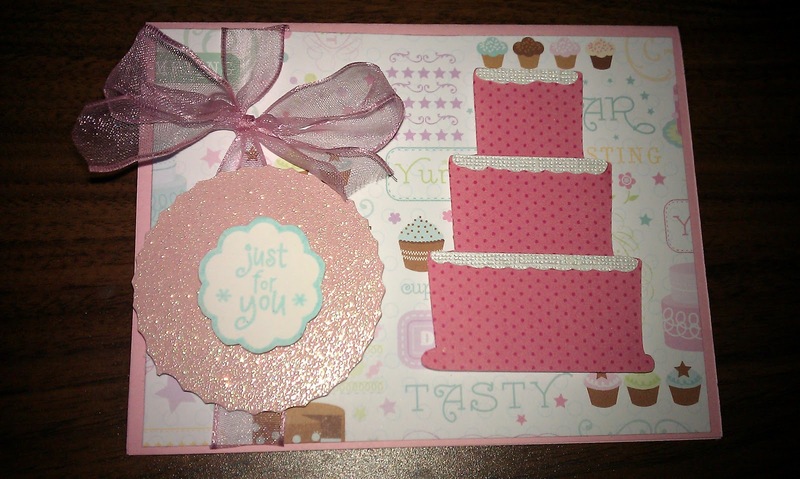 Since I am also a Cake Artist I think what I do best is simple cards and cakes that is why I made a Cake Card. Hope you all like my simple card. Pretty Card. Love the glitter. Thank you so much for joining us over at Cardz TV with Mary "Just Your Style" Challenge. Hope to see you again. Great looking card...I like the colors that you used..